Mary Cappello is the author of five books of literary nonfiction, including Awkward: A Detour (a Los Angeles Times bestseller); Swallow, based on the Chevalier Jackson Foreign Body Collection in Philadelphia’s Mütter Museum; and, most recently, Life Breaks In: A Mood Almanack. 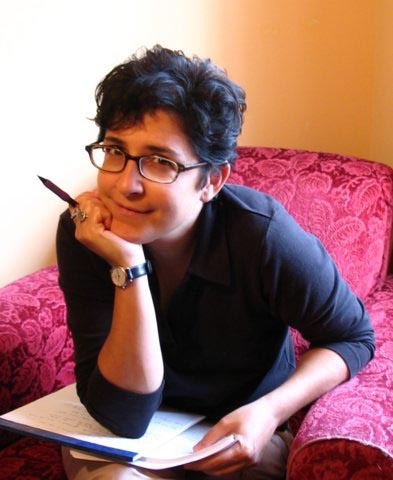 Her work has been featured in The New York Times, Salon.com, The Huffington Post, on NPR, in guest author blogs for Powells Books, and on six separate occasions as Notable Essay of the Year in Best American Essays. A Guggenheim and Berlin Prize Fellow, a recipient of The Bechtel Prize for Educating the Imagination, and the Dorothea Lange-Paul Taylor Prize, Cappello is a former Fulbright Lecturer at the Gorky Literary Institute (Moscow), and currently Professor of English and creative writing at the University of Rhode Island. Buffalo Trace: A Threefold Vibration, co-authored with James Morrison and Jean Walton appears this Fall, 2018. » Read a fuller version of this bio.